The Sports Pals run lunchtime games for the younger children at Parkvale. They went away to a course to learn lots of games and chose Room 5 to practice their games on. 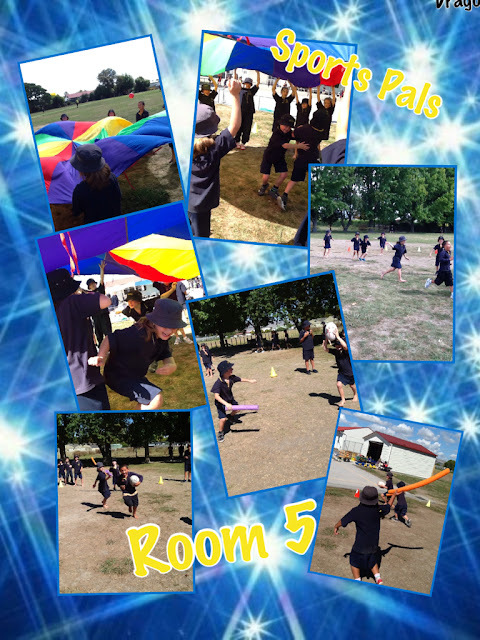 Room 5 have met the Sports Pals on the field each lunchtime and have had so much fun playing lots of different games. Mrs Anderson and Mrs H were so proud of the Kidd-li-winks with all the respect and sportsmanship they showed. Thank you Sports Pals for great lunchtime games. Tom is the sport pals games and activities. Well done Sports Pals!